When you first walk into a head shop and are greeted by a myriad of shapes, sizes, and colors, it can be hard to begin to decide which bong is going to be right for you. With bongs typically ranging from $20 to $1000, making the right decision can be a challenge. To start I’ll lay the groundwork of the two main bong styles you will typically see at your local smoke shops. 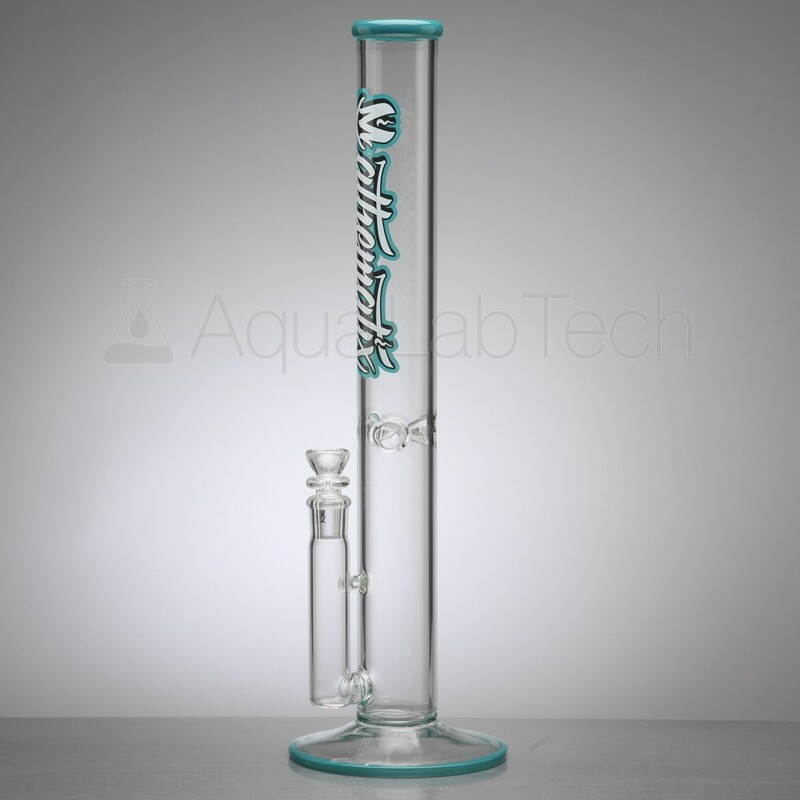 The first style is a straight tube bong such as this. 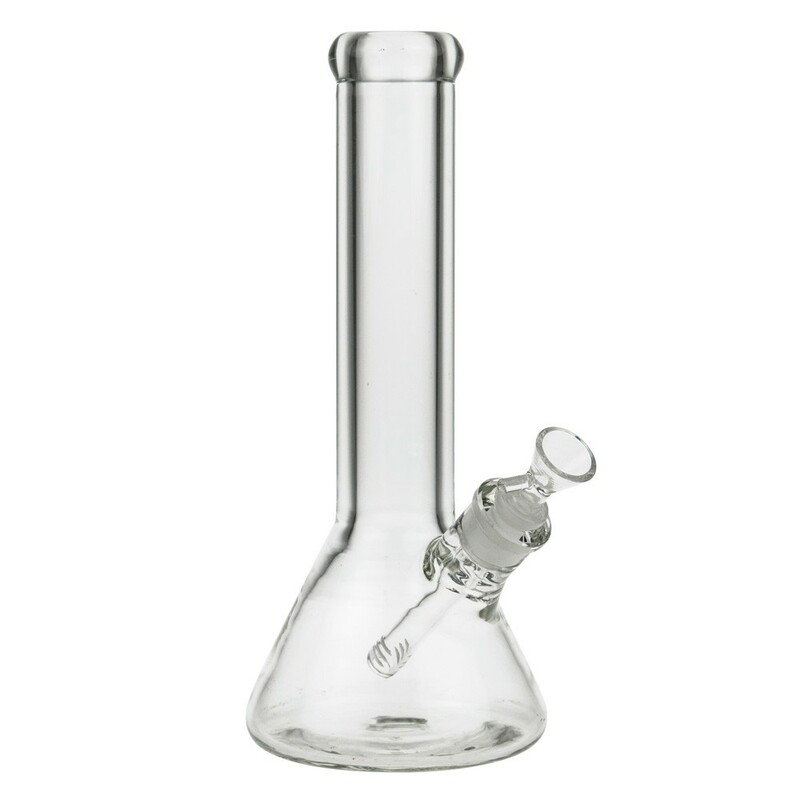 Straight tube bongs are often characterized by having denser smoke and are often times quicker and easier to clear than their counterparts, beaker bongs. These straight tube bongs typically have relatively small bases and don’t hold that much water. Because of these factors, straight tube bongs can be knocked over relatively easily. One thing to consider when purchasing a bong is the overall style, which look do you like better? Do you think straight tube bongs look cool? Or do you prefer the beaker style? Beaker bongs are mostly characterized by having a wide beaker like base. Because they have a wider base and can usually hold more water than a straight tube, beakers will often weigh more, be more stable, and are less likely to be knocked over. Because Beakers have more volume, you can often times fill the bong with a larger quantity of smoke than you would be able to with a straight tube. Although, this volume factor can work against you at times, as you may take too big of a hit and be unable to clear all of the smoke. Also, because there is typically more water in beakers, there can be a little more drag and be overall harder to clear than a straight tube. After deciding if a beaker or straight tube is best for you, the next aspect to consider is glass thickness. When deciding on glass thickness, it’s important to think about realistically what is going to happen to this bong in its lifespan. Are you going to be packing up your piece into a backpack and bringing it to your friend’s houses? Or is it just going to sit on your shelf at home only to be used occasionally? If your bong is mostly going to stay in one room, then the thickness of the glass shouldn’t be too much of a concern; in cases such as this, you could have glass as thin as 2mm. However, if you’re bong is going to be moving around a lot, you could get a piece with a thickness of 5-7mm which would be pretty hard to break. Note that glass thickness shouldn’t affect your draw or hit in any way, your decision should be mostly based on aesthetical and practical preference. The next thing to consider when picking out a piece are the percolator options. Think of percolators as an additional water chamber in your bong, typically found inside of the tube. Percolators are designed to help filter and cool the smoke as it goes from your bowl to your lungs. When you hit a bong with a percolator versus hitting a bong without one, you can really tell the difference in the quality and smoothness of the smoke. There are many different styles of percolators, and there are no clear-cut victors when it comes to which style of perc is best. Some of these different styles of percolators include honeycomb, tree, inlines, turbines, and that’s just to name a few. Each style of perc is going to produce a slightly different quality of smoke than the last. In the end, it really comes down to personal preference. Overall there are so many factors when it comes to buying a nice bong. But really, try not to overthink it and just pick the one you love the most.